On a recent visit to Perth, we were delighted to find a city full of fantastic large scale murals. 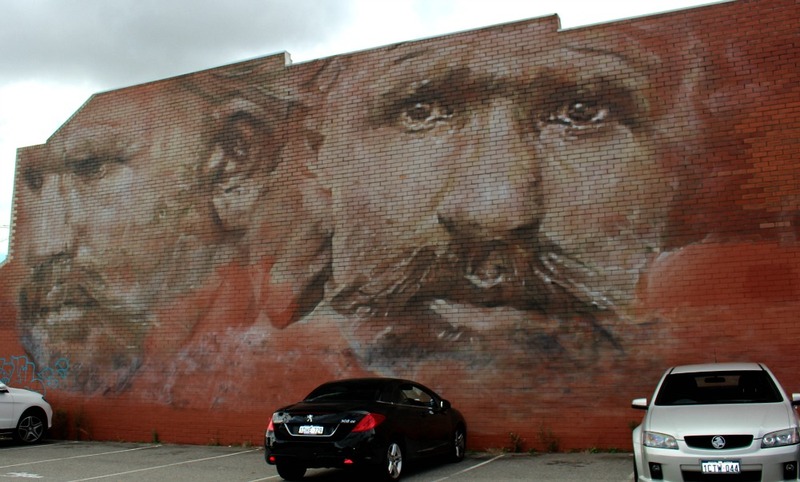 Today we present a collection of our favourite street art in Perth for your viewing pleasure! 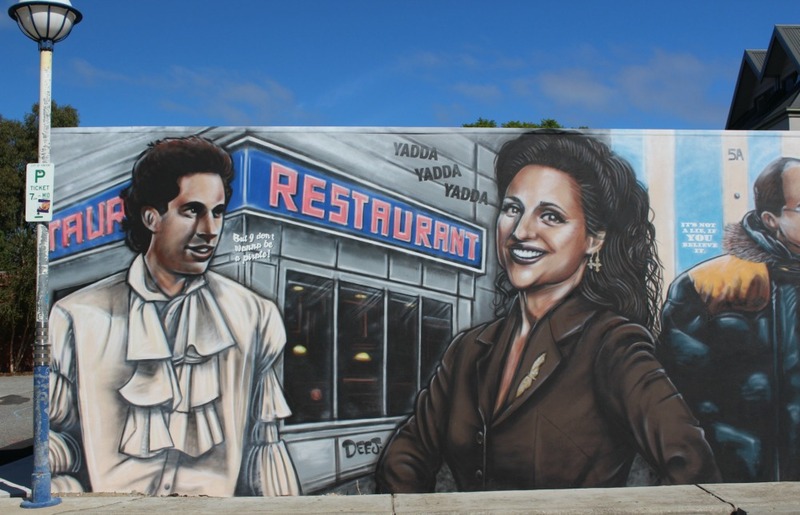 If you love street art, then you really should visit this city for a few days. 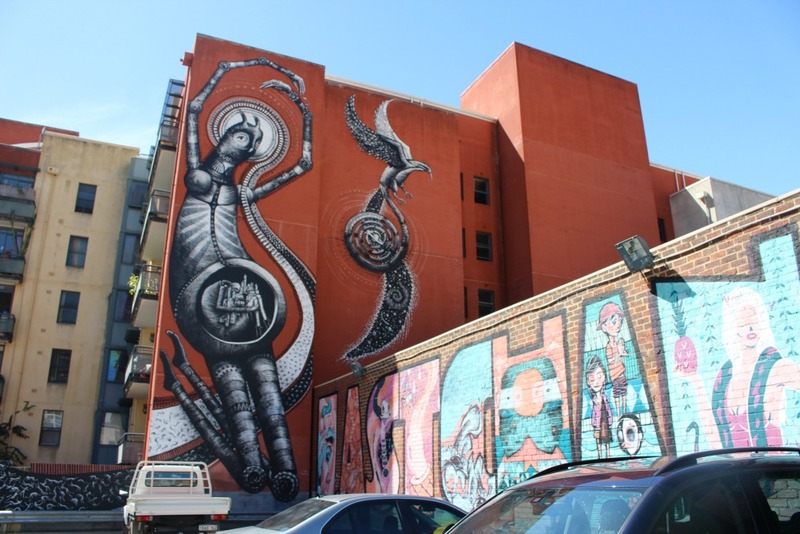 On our visit to Perth earlier this year we spent a week just relaxing with friends, eating and checking out the brilliant (and abundant) street art in the city. Over three days I took at least 200 photos of the walls in Perth and Fremantle. For a city of its size, the number of outstanding walls is really impressive. Location: 282 Fitzgerald St, West Perth. 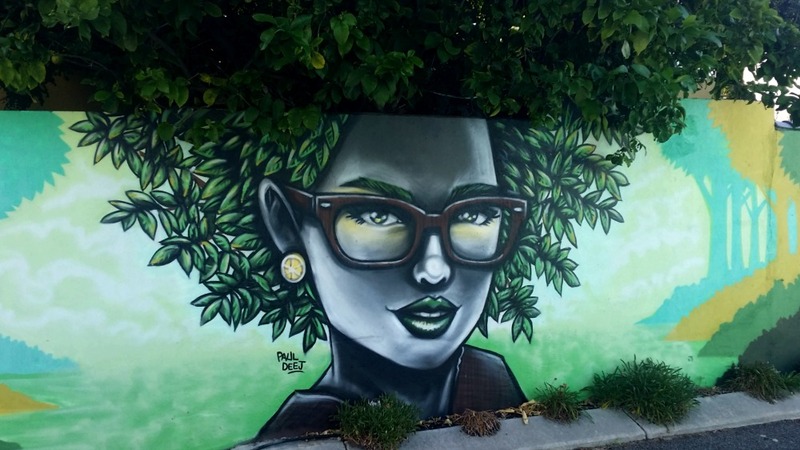 This clever mural, Lemon Tree Girl is by Perth local Paul Deej is located down a laneway off Grosvenor Road in Mount Lawley, not far from the IGA Carpark. The carpark and laneway that runs from it are full of paintings. 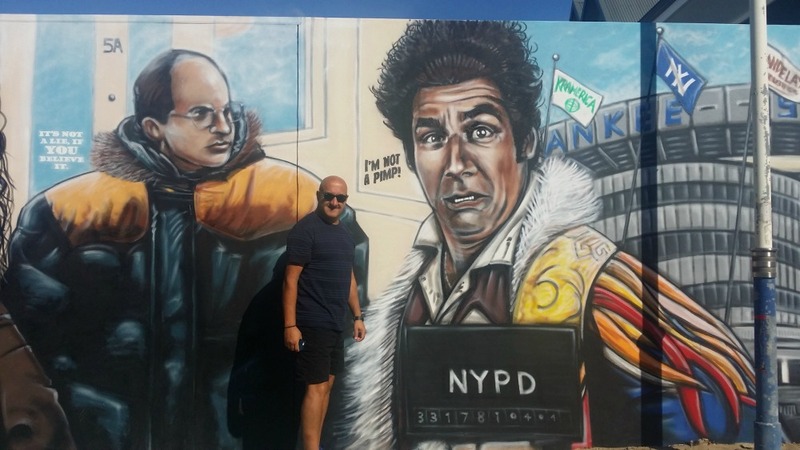 Deej’s work often features pop culture and this one is a classic. Commission by a local business it was created using spray paint only, no brushes! 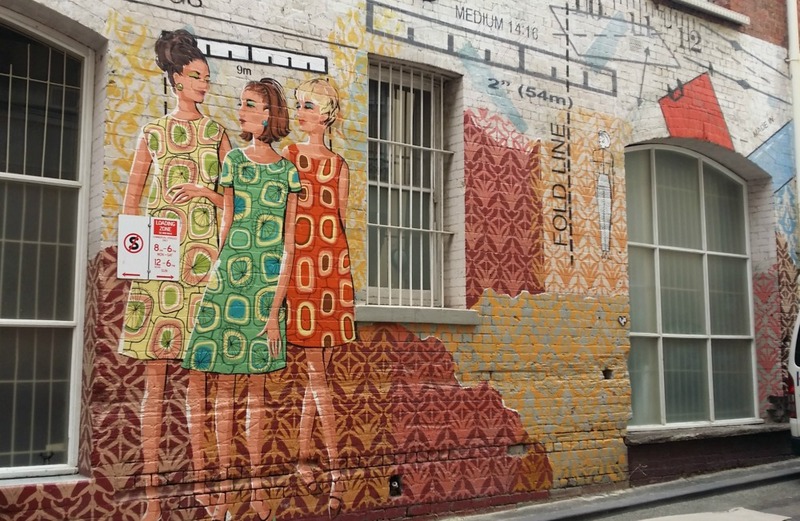 This work created by local WA artists called Pretty Patterns commemorates the fashion history of the nearby area. 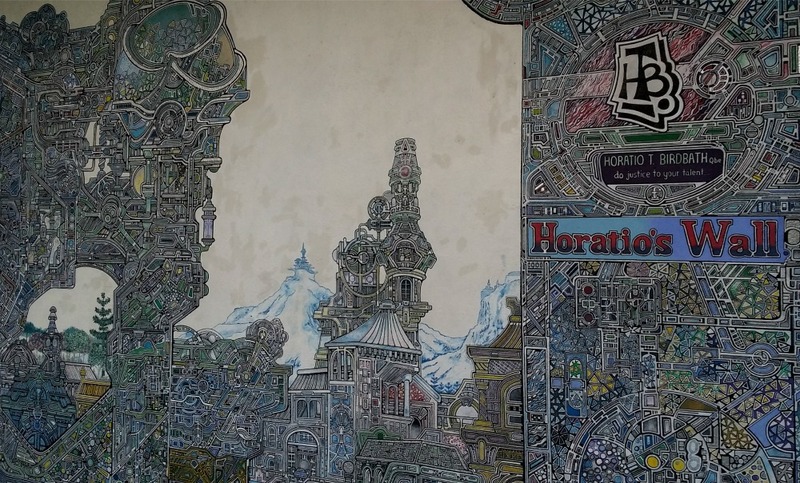 This large, intricate work is incredible. It has been worked on for many years by eccentric local artist Horatio Birdbath. Location: the side of Gino’s Cafe & Trattoria, Market Street Fremantle. 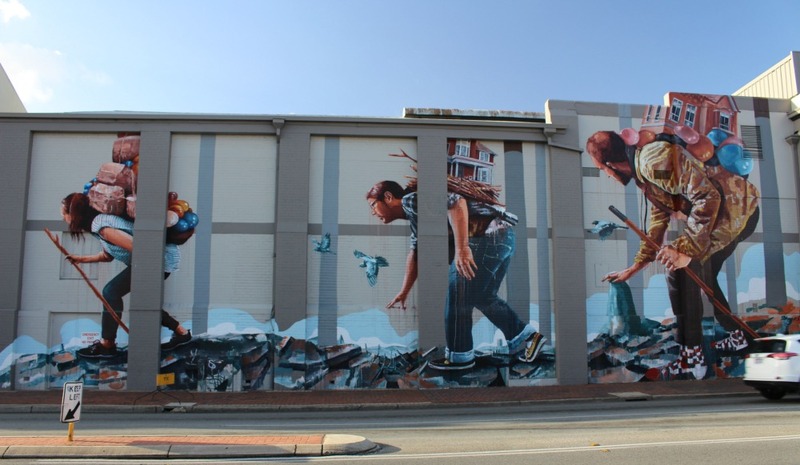 This mural was painted as part of the Light Up Leederville Carnival in December 2014 by Sydney based artist Fintan Magee. 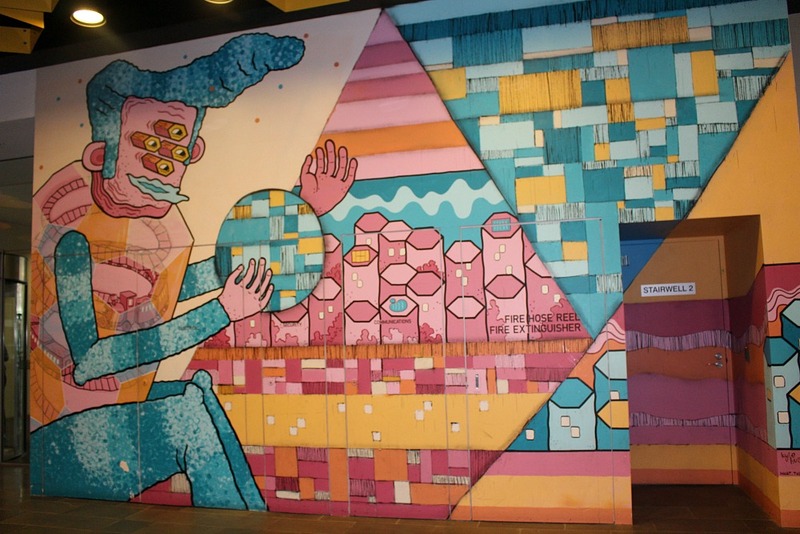 The 30 x 15m piece called The Migration shows a man carrying his old life on his back as he moves on to a new life. It was inspired by the large number of people who migrate to Perth from somewhere else. Location: Side wall of the Luna Cinema corner of Vincent Street and Oxford Street, Leederville, Perth. 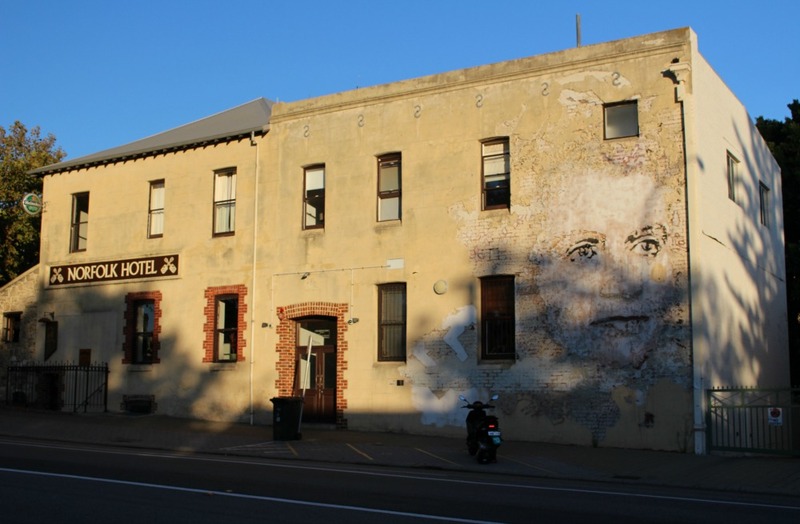 Portuguese artist Vhils is responsible for the stunning carved portrait of Dame Dorothy Margaret Tangney DBE, the first woman in the Australian Senate. Amok Island was born in Amsterdam but is now based in Perth. His work usually features animals and nature themes. 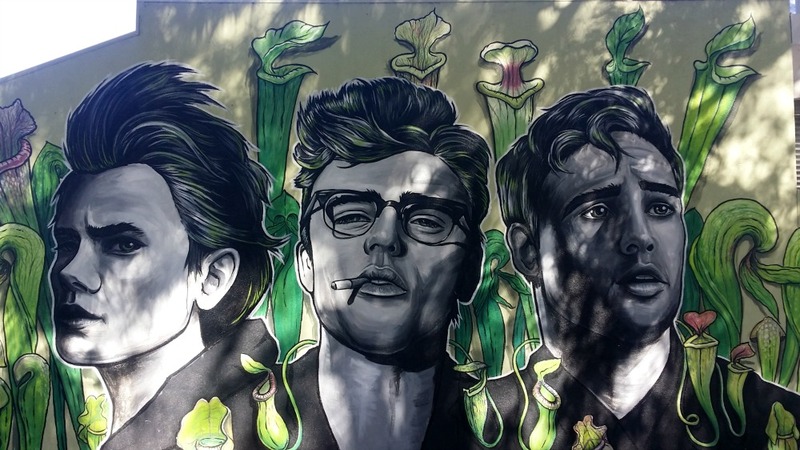 This mural of River Pheonix, James Dean and Marlon Brando was painted in 2015 as part of the #Public2015 festival. I found this just inside a cafe/restaurant in the centre of the city. I think we were near Wolf Lane, but I just can’t remember. If you know the name of the artist or the venue, please let me know. 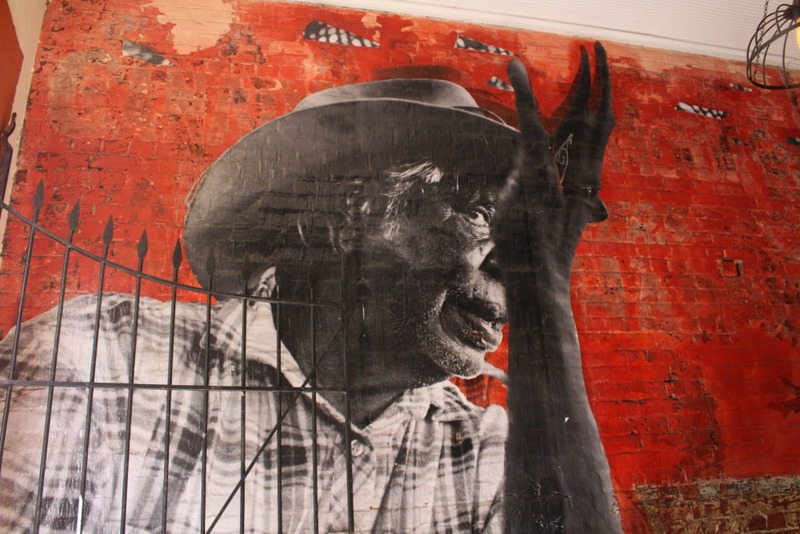 If you are heading to Perth make sure you check out the fantastic site, Streets of Perth, that has documented a significant amount of local art in WA. 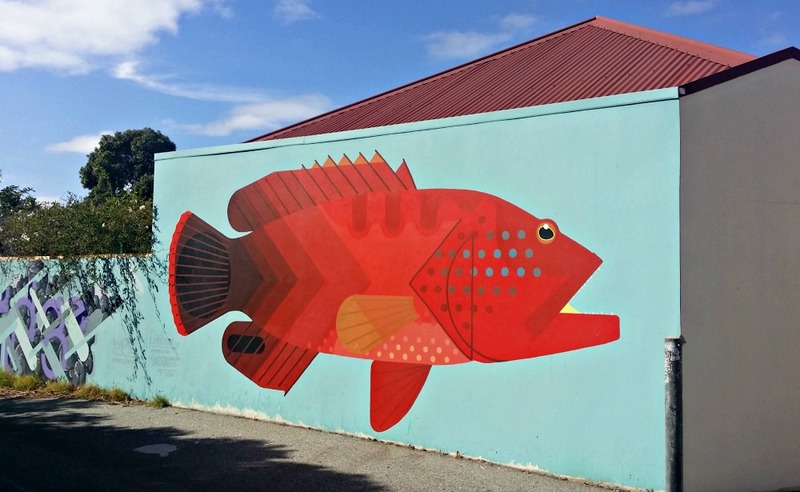 Do you have a favourite mural or wall in Perth?